The Vol. 1, No. 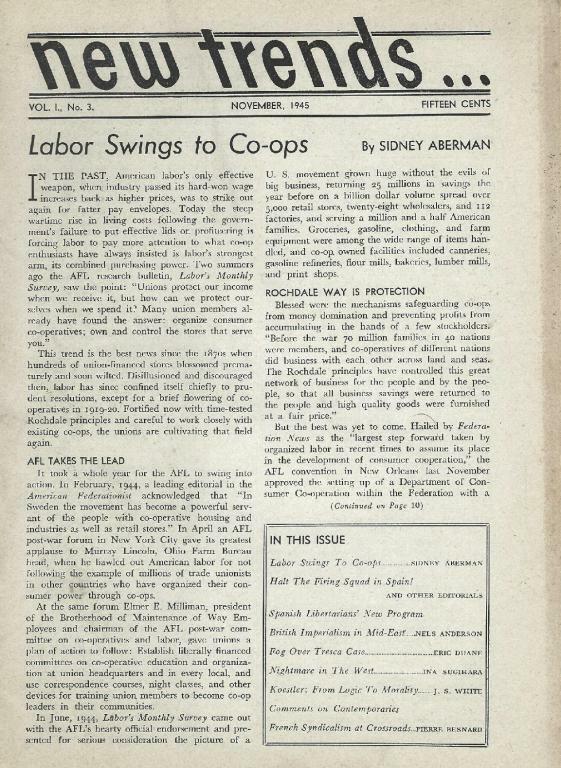 3 (November 1945) issue of New Trends, an anarchist publication produced out of New York City from September 1945 until August 1946. -Halt the firing squad in Spain! -"34 bucks to take home"